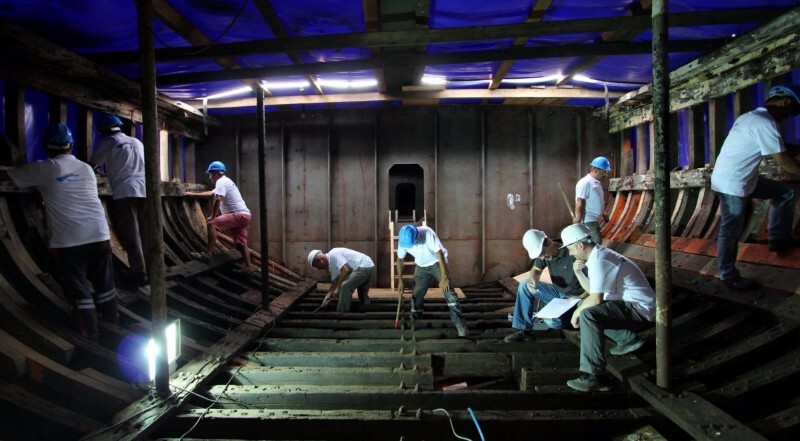 Here are the latest pictures from Calypso‘s restoration. The team of carpenters has been chosen and the preparation work is ongoing, as we can see in these images. The outside temperature is between 34 and 37 degrees. The shed should be built by the end of August ensuring Calypso and the team are sheltered before autumn.